You'd be forgiven for thinking that by Day Three of the biggest music-making event of the year, manufacturers might have run out of steam, free USB sticks and new gear to show off. You'd be forgiven, but you'd also be wrong..
Day Three's highlights are as follows: see Korg's Kaossilator Pro put through its paces, watch TC Electronic's PolyTune live up to its revolutionary reputation by tuning all our strings at once (how did nobody invent this earlier?!) and take a front seat for PRS Guitars' 25th Anniversary press conference featuring Carlos Santana and Ted Nugent. 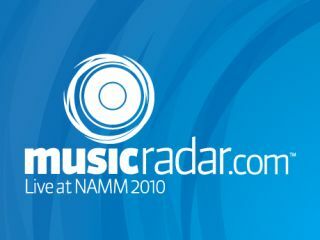 Scroll down for more highlights, and be sure to check back tomorrow and Monday when we'll be wrapping up all of our NAMM 2010 coverage and attempting to get a suitcase-full of free USB sticks through Customs.